In January 2011, Teknomadics hosted a toy drive at the Bamboo Lounge in San Diego with the help of the local Couchsurfing community. We had a great response, and the next morning we hit the border to deliver the goods. The border inspection crew told us we had so many toys that we were exceeding the limit of importable items! They let us slide through anyway after a brief explanation, and warned us not to do it again without following the proper protocol. ¡Sí Señor! 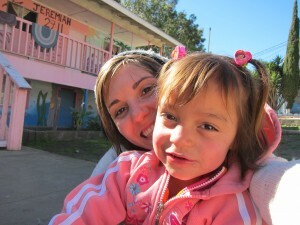 We traveled about 45 minutes south of the border to La Mision. There we stopped for a breakfast of chilequiles at one of our favorite taquerias and met up with Santa Caus, a local non-profit organization that brings toys to the children of Baja California’s orphanages every year for Dia de Los Reyes (Epiphany – Three Kings Day). Several volunteers showed up at breakfast to help us wrap and sort all the gifts before we took off in Santa’s sleigh (a red convertible Dodge Shadow–top down, of course!) on a scenic drive through the hills of Baja to Rancho Milagro Orphanage. We met the kids, sang carols with them in English and Spanish, delivered their gifts and donated some food. Click Here to Look at More Pictures! We shared such a beautiful day with family and new friends! We hope you are inspired to spend some time soon with kids in need in your own community. What’s more essential than crayons and remote-controlled cars is sharing love and attention. There was one sweet child who was about 3 years old and brand new to the orphanage. She was scared and shy when we arrived, so we made sure to give her some extra lovin’. After a while she was calm, smiling, and even talking with us–she informed us that she was a princess, and we assured her that she was correct! 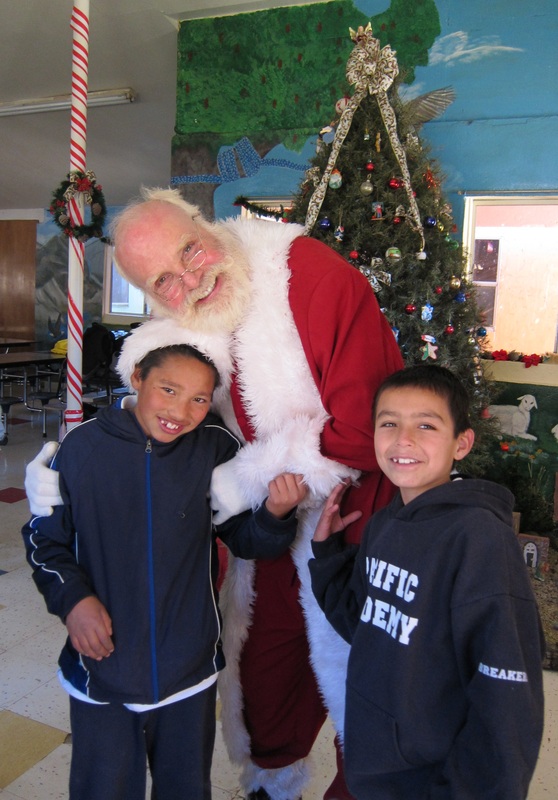 Rancho Milagro (Miracle Ranch Orphanage) is located a few miles Northeast of Ensenada in Baja California, Mexico. It is the home of boys and girls from around the region. Many of which have been abused, neglected, or abandoned. The Orphanage operates under the guidelines set forth by the Mexican Social Services Department known as Desarrollo Itegral De la Familia (DIF). DIF is responsible for the placement and care of all orphaned and abandoned children in Mexico.